Every. Single. Month. Every single month I start off my Favourites post with stating how shocked I am that we are into another month. As if it just sneaked up outta no where and surprised us. I personally had a crazy month and I am not surprised that it passed by as quick as it did; my sister turned 18, it was Father’s Day, it was my dad’s birthday, I started a new online job and even more than that happened but I want to get into the post now..
GOSH Velvet Touch Anti-Wrinkle Foundation Primer – I have been love love loving this primer over the past few weeks. Whenever I am choosing a primer or a foundation I always opt for the ‘anti-wrinkle’ option because I do have fine lines on my forehead and there is nothing more annoying that when your foundation settles into those for the long haul. This primer seriously makes a noticeable difference though, especially when I look back at photos on days when I am wearing this primer. Well, it certainly reduces the look of fine lines and it smoothens the skin like a dream, but I do not feel any tightening in my skin. I am not complaining though because I really don’t like the sound of that “tightening” on my face! Be warned that (in my experience) the first few pumps of this come out a bit sticky and tacky and are very difficult to work with. Once you have got that first bit out though you will be golden. This honestly feels like liquid velvet when you touch it. ** Available at most Edgars stores for R220. A product which I used to use almost-daily but randomly stopped using for no reason at all. I come from the school of ‘eyeshadow should not be worn without eyeshadow primer’ due to the fact that I have oddly coloured eyelids. Seriously. They are not rainbow striped but when I was in school I would regularly be asked if I was wearing eyeshadow and if I don’t wear eyeshadow it looks like I have on a very subtle smokey-eye. I have googled this and I cannot seem to find any answers but I am not worried enough to warrant a doctors visit. ANYWAY and BACK to the product. Besides for the fact that it turns your entire eyelid one colour with just a tiny dot (and I mean tiny dot)and lays the base for your shadows, it honestly keeps your eyeshadows on for so much longer than it would usually last. It can also be used as concealer at a moments notice and it only costs around R60. Need I say more? 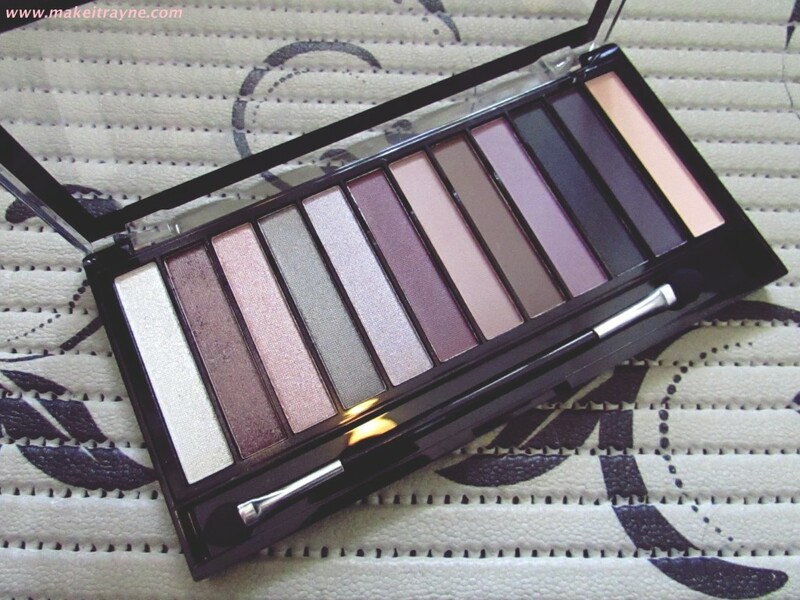 Make-Up Revolution Redemption palette in Romantic Smoked – This is one of those international brands that I would happily trade some local brands for. These palettes are so iconic in the UK and everyone has a few of them stashed away. At only four pounds each you are getting amazing quality and an incredible array of colours. I received this in my latest UK International Beauty Swap and it was not something which I requested but out of all the Make-Up Revolution palettes this would have to be the most perfect one for me. Just look at those lovely purples! And the perfect combination between mattes and shimmery shades. Lancome Hypnose Drama Mascara – I actually put this up in my most disappointing products of 2014 🙁 How wrong was I! I started seeing reviews floating around of people saying the same thing over and over again: that this works a lot better once you have used it a few times. I have no idea what happens inside the tube after a few uses, but it works like a dream. It gives you tons of volume and non-clumpy lashes. I myself prefer clumpy lashes but I know most people do not so this would be a favourite for lots of people. It does not flake at all, like, not AT ALL which is great because its normal to see the flaking start after you have had it on for an entire day – but this one does not. It is also very easy to remove with make-up remover or facial wipes. 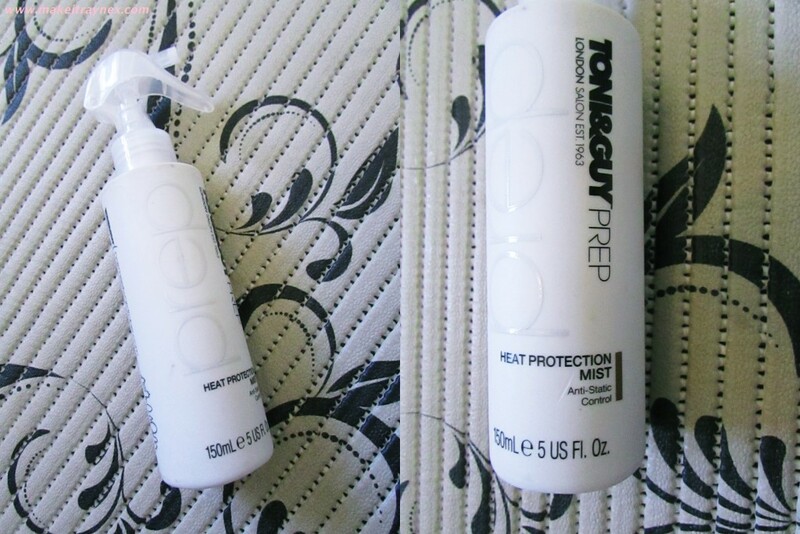 Toni & Guy Prep Heat Protection Mist– This is one of those products that I used to use ages ago but, for some unknown reason, I just stopped and moved onto something else. When my current hair protector ran out I reverted back to this and I literally had to go back in my head to try and remember if I had put on a hair mask or something the night before because my hair was so soft! The package does not say that it smoothens split ends but I find that it does exactly that. It also does not give off a hectic smell like the other hair protectors. Nothing wrong with that because they all smell good, but I prefer unscented. Definitely my favourite right now. To be honest, I only purchased this because it was the day before payday and I was in LUSH and it only cost R65. I had to get something and this sounded nice, but not amazing. 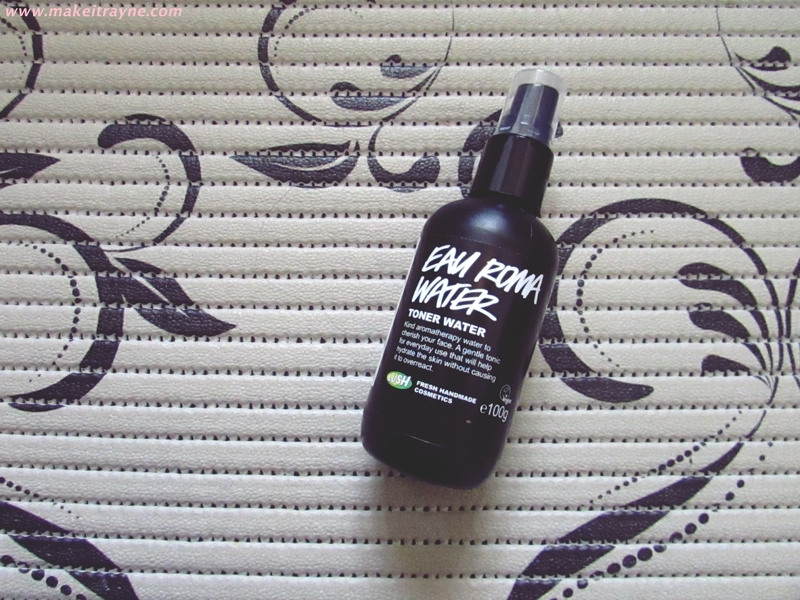 It says it should be sprayed on your face whenever you need to feel fresh and uplifted throughout the day. I have tons of different toners, I love them, but I have never had a toner spray and I have to say I am obsessed. You’d think a spray or two would have a very different effect to when you use a cotton pad to apply your toner, right? Wrong. It honestly does refresh your face while still toning your skin at the same time. It also leaves your face feeling velvety and firm afterwards and I never want to apply my moisturiser on top because it just feels so good! My only qualm is that it says you can apply it whenever you need to feel refreshed, which makes you think you can whip it out whenever and spray on top of your make-up. I have not yet tried this but I would not suggest it. What did you think of my favourites this month? Don’t forget to leave links to your own monthly faves! Always love reading your posts, Rayne! A question about the eye shadow primer. I’ve always just used my standard foundation as a base/primer before applying eye shadow and I THINK it works alright for me. Am I wrong? Also, just out of curiosity, do you buy and review your own products or were these sponsored? If your foundation works well enough as a primer for your eyes then I’d say just stick with that! Which foundation are you using? Most days I also just use my foundation as eyelid primer but on those days when I know I will have my eyeshadow on for ages then I go the extra mile with an eyelid primer.